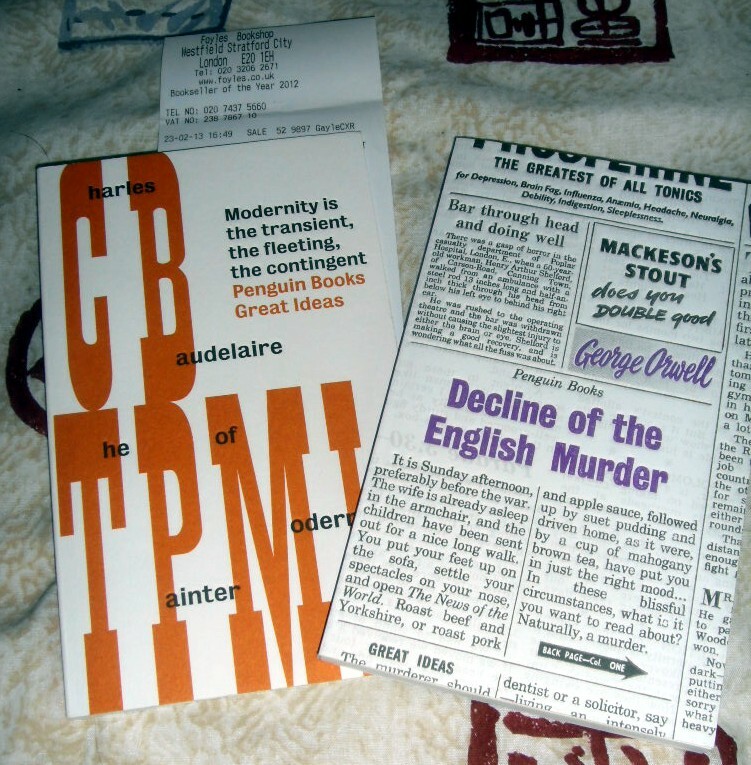 George Orwell’s essays have been on my TBR list for a while (originally, I confess, because I heard there was an essay on tea in there somewhere!) but they’re a bit expensive so I keep putting off buying them. I think I’m going to have to ask some well-meaning person to give them to me as a birthday present or something… Enjoy your new books! I adore Orwell’s essays – just the right length, clearly written, funny and opinionated! Yes, a very good idea for a birthday or Christmas list!! I like the cover on those modern Penguin Great Ideas – I have Swift’s A Tale of a Tub and Wollstonecraft’s A Vindication of the Rights of Women which are lovely old-fashioned fonts from early newspapers and laid out like frontispieces but I hadn’t seen the bolder, modern selections, they’re far more colourful. Good spot. I hadn’t seen the newer Great Ideas either, as my local Waterstones don’t stock them – they are rather lovely though. In an ideal world with no budget restrictions I’d have sets of them all on my shelves…. I *am* having something of a Bulgakov kick at the moment – saddo that I am I spent yesterday evening looking at Patriarch’s Pond on Google Earth! Exactly! Perfectly legitimate research ahead of a re-read of M&M!!!! I read the Fatal Eggs last year and really enjoyed it. Have you reviewed it yet? I managed to find a repeat of the Young Doc’s notebook and saw the first episode – loved it, now I must read the book. I wonder if Foyles has a branch at the other Westfield mall – Stratford is the wrong side of London for me. Must check. I haven’t reviewed FE yet but I intend to as part of a review of several Bulgakovs! Having a bit of a B binge at the moment… Glad you liked Young Doc! I believe Foyles has a branch at the White City Westfield, but it might be worth checking online! I *like* Foyles a lot! I should reread Don Quixote. I read it for a class many years ago, and liked but didn’t love it. It seems to be everybody else’s favorite novel. Obviously I’ve been missing out. I like Bulkagov, if I find a copy of The Fatal Eggs, I’ll let you know. I’m taking down everything on my TBR, but when I’ll get around to all these heaven only knows. The widgets are just a pain, but I liked the paper look! 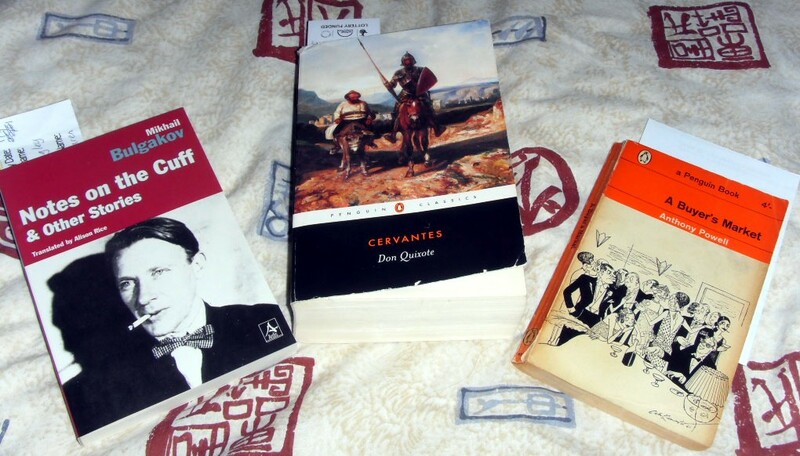 Don Quixote is good so far, but it’s so long I thought I might get a bit fed up, which is why I’m mixing it with other books. This translation seems quite punchy and readable. 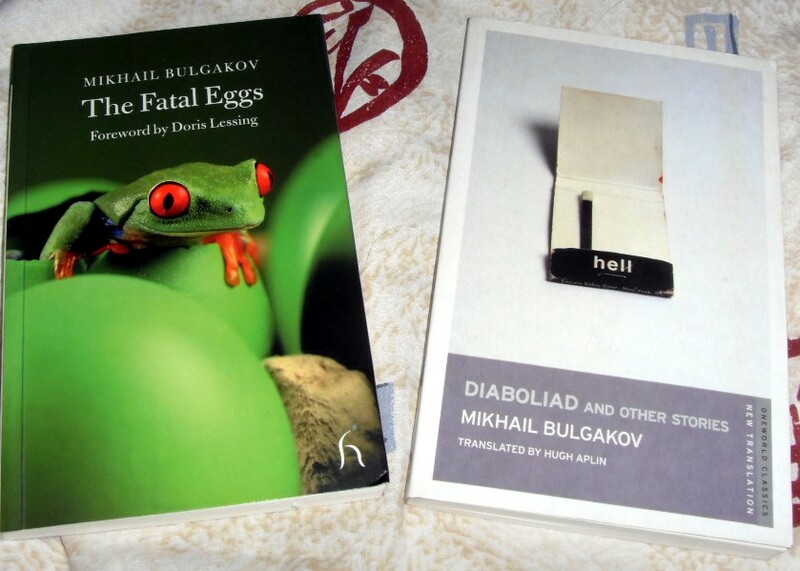 Fatal Eggs is one of my favourite Bulgakovs – I definitely recommend the Hugh Aplin translation!